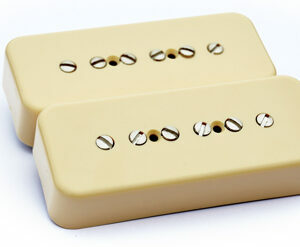 Low Output 1950s P90 Soapbar Pickup Set. Lower Wind P90 pickups with killer cleans, softer attack with later amp breakup. Classic early 1950s tone. Wound to 7.7K for the bridge and 7K (approximate) for the neck. Each P90 is designed specifically to balance as a set. A4 magnets in the bridge position and A3s in the neck position. Amazing touch sensitivity and with classic P90 mid range. 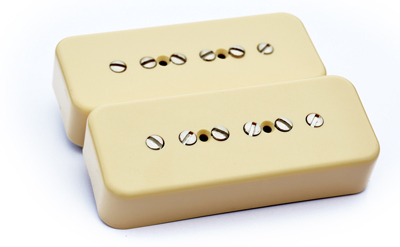 Great pickup upgrade for your Les Paul Standard, Special or vintage restoration. Standard sets are not RWRP, just like the originals. 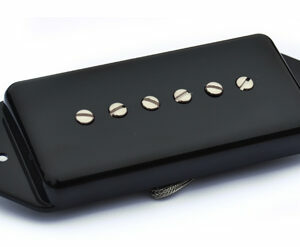 RWRP single coil pickups sacrifices a bit of dynamics and overtones. That being said, some really like to have hum canceling when both pickups are selected so Tyson Tone does offer RWRP as an option at no additional charge.